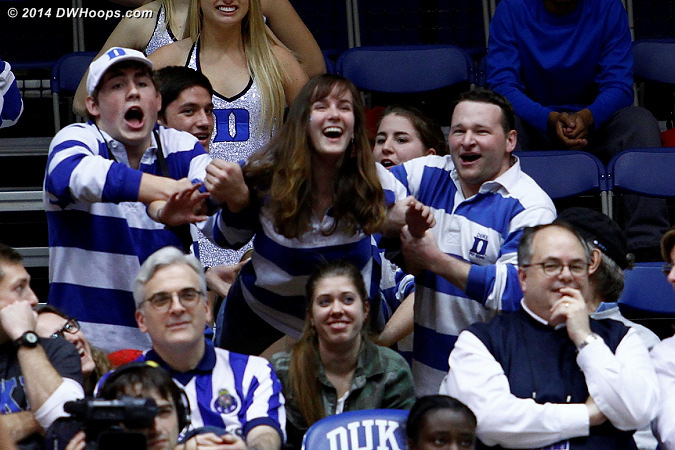 All public and member photos have been published. 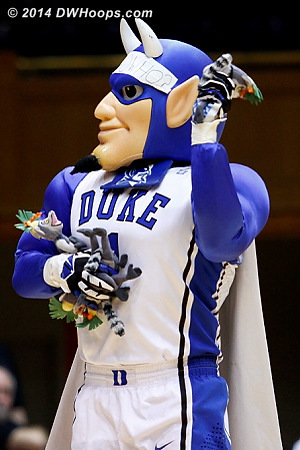 We apologize for the lengthy delay. 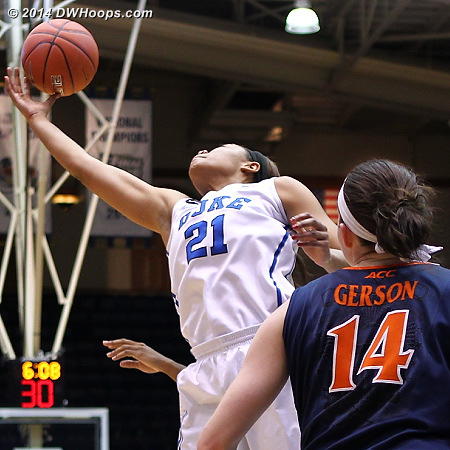 It was the third time this season that All-ACC Franklin was held to just two points. 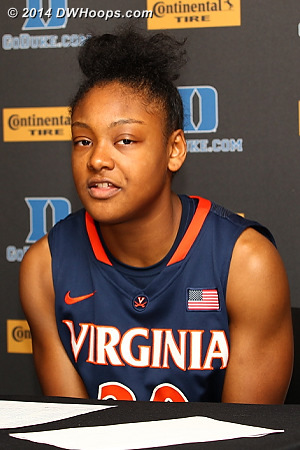 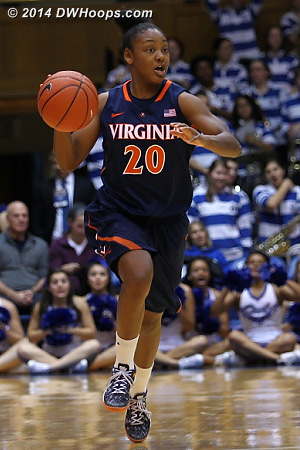 Faith Randolph was our Digest Surprise Player of the Week last week, notched a team high 13 in this game, then exploded for 26 in Virginia's subsequent win over FSU. 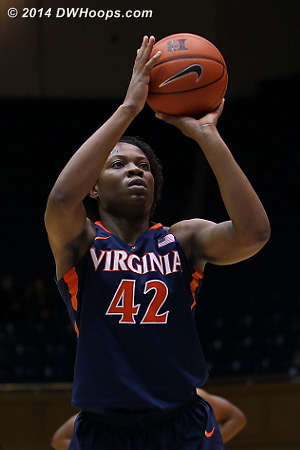 A terrible defensive lapse for Virginia as Imovbioh backed off of Liston, leaving her a wide open look in one of her favorite spots. 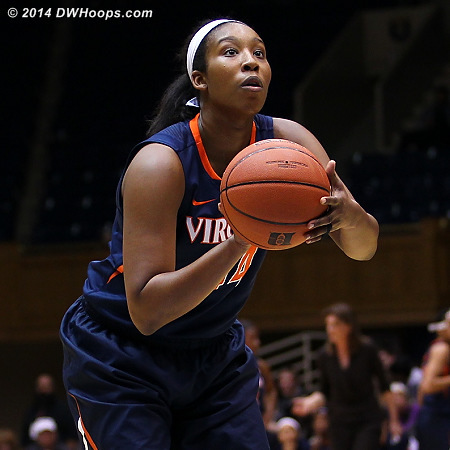 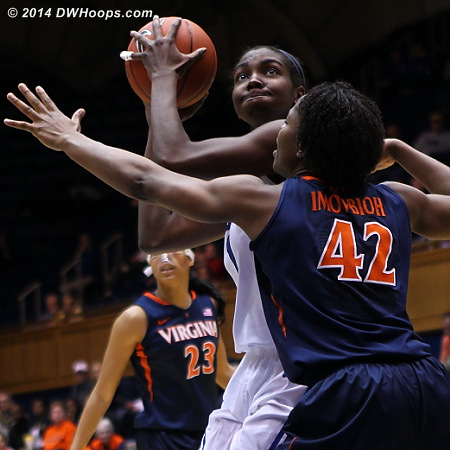 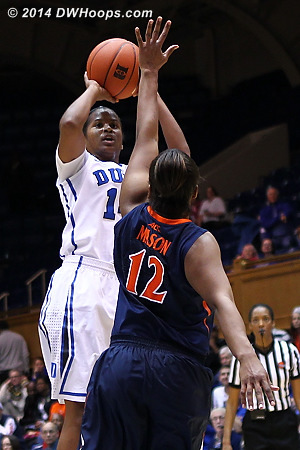 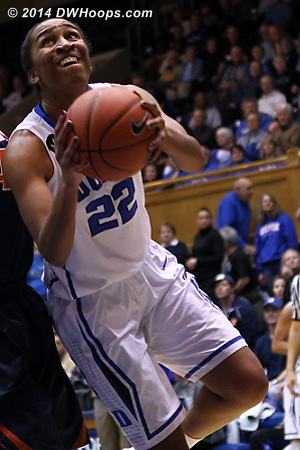 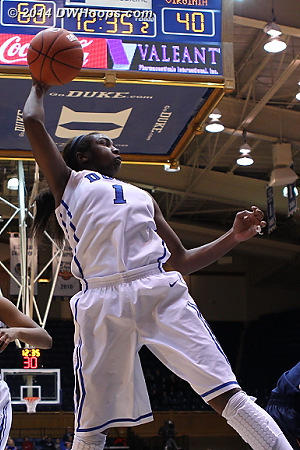 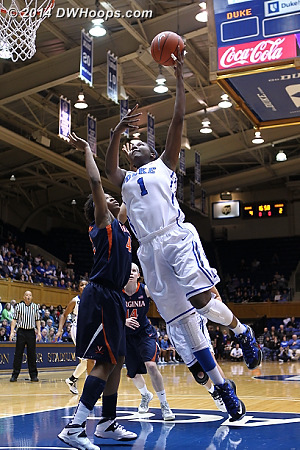 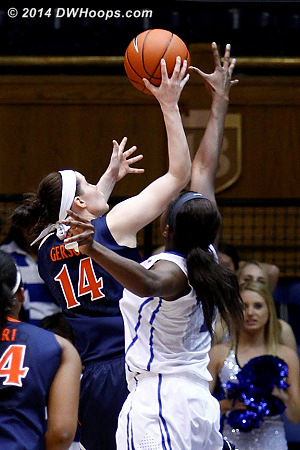 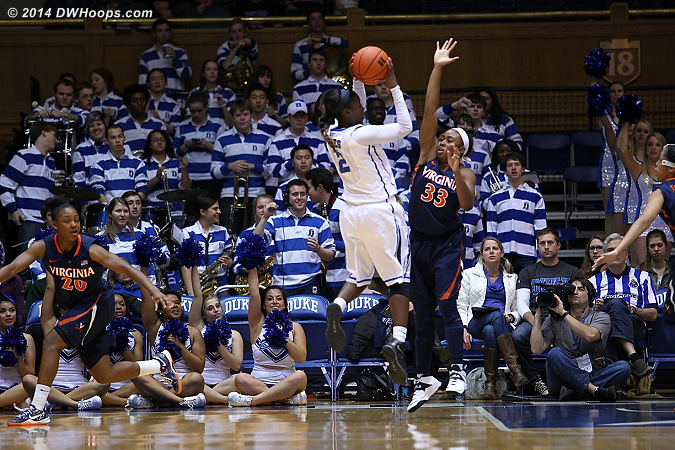 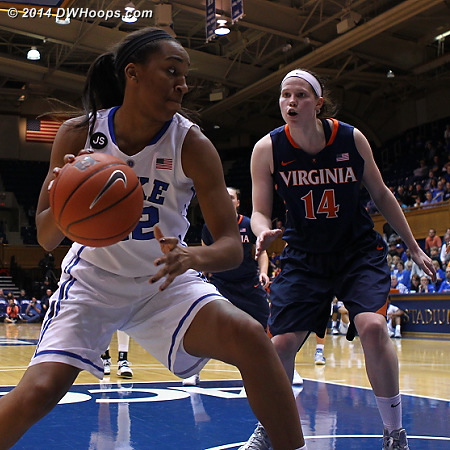 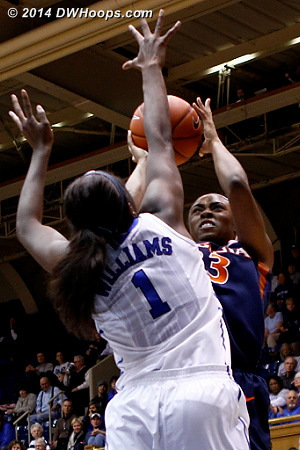 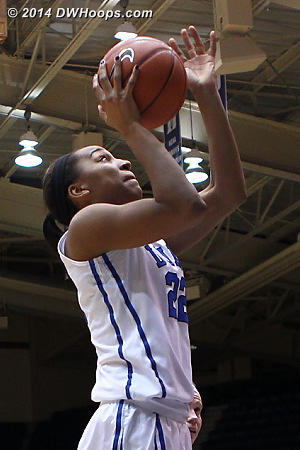 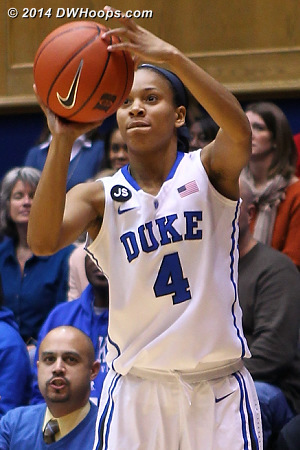 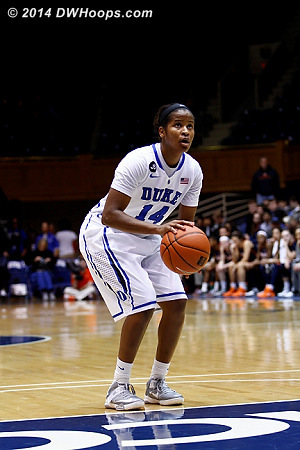 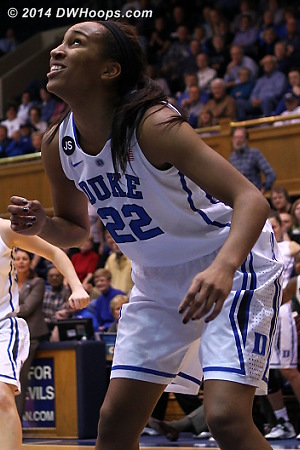 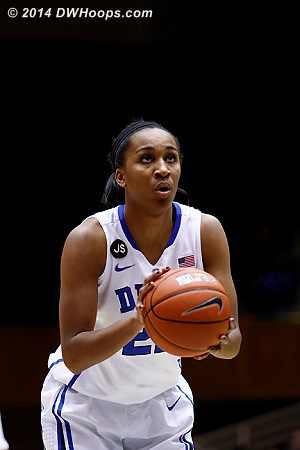 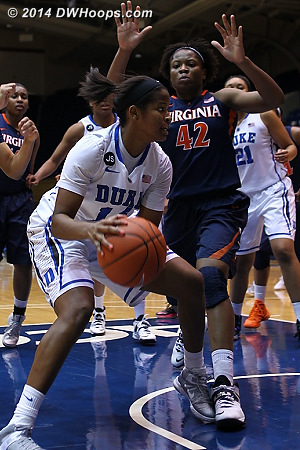 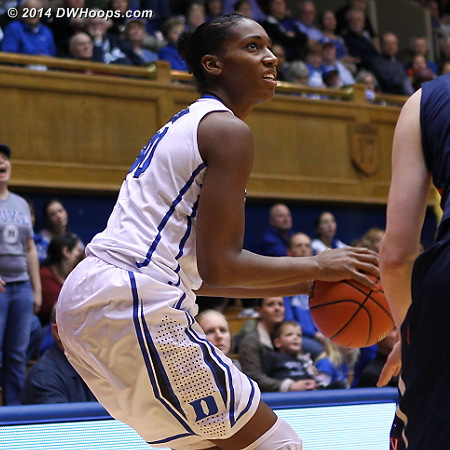 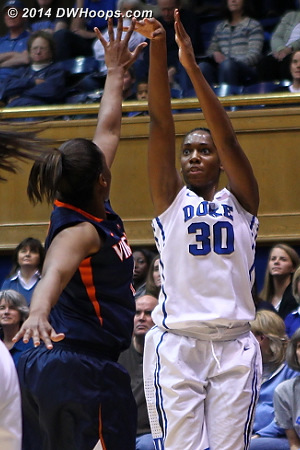 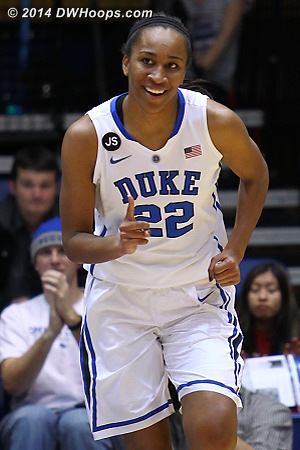 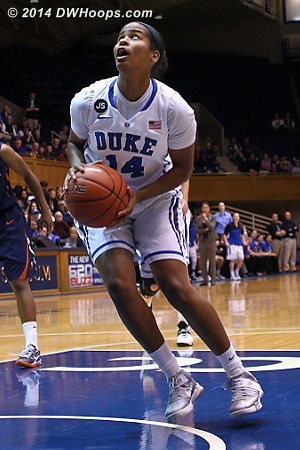 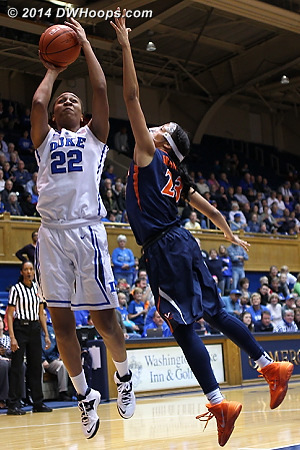 A minor sour note for the evening was Chidom's 3-9 performance from the line. 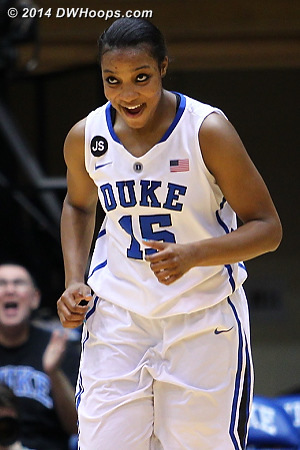 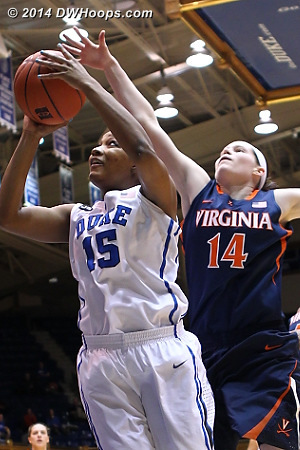 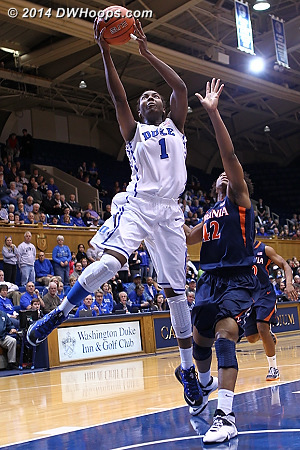 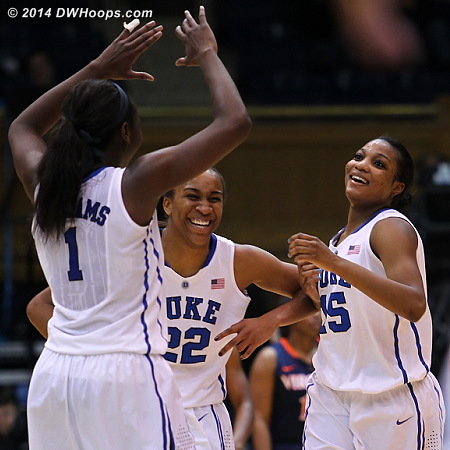 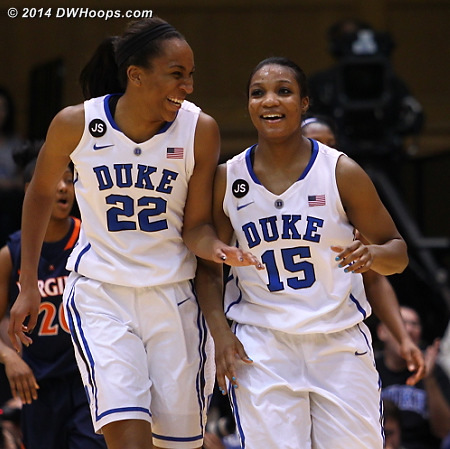 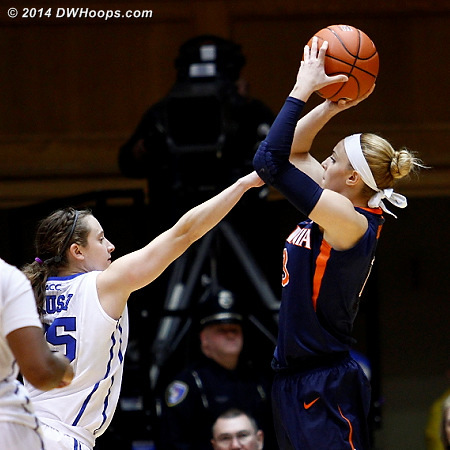 Ballgame - Duke 90, Virginia 55. 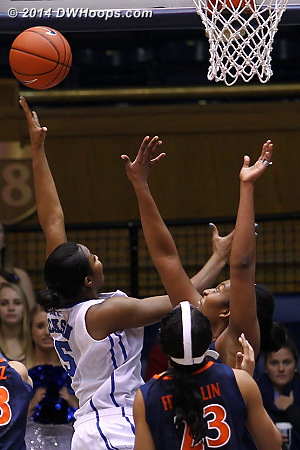 It was Duke's biggest ever win over Virginia, though Virginia owns wins over Duke that were much bigger. 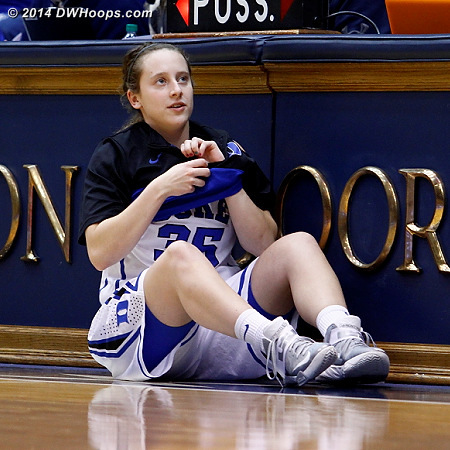 "Obviously lots to work on, but it's great to be out on the floor. 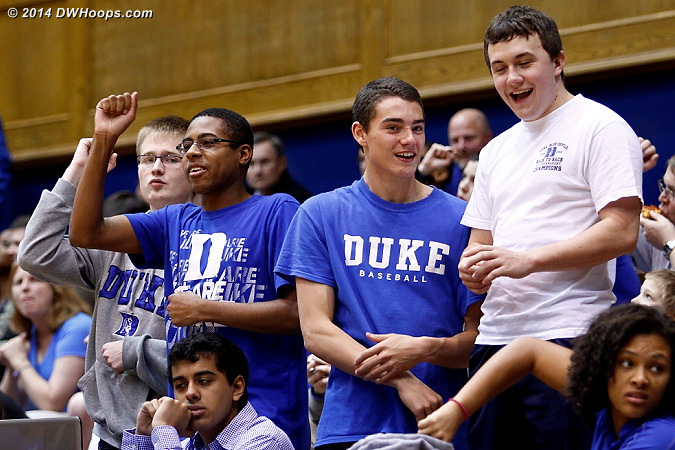 I think it's where we're happiest after all the kids have been through." 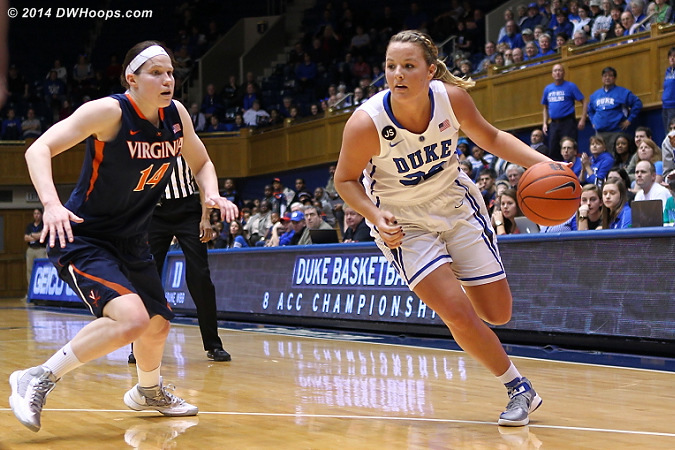 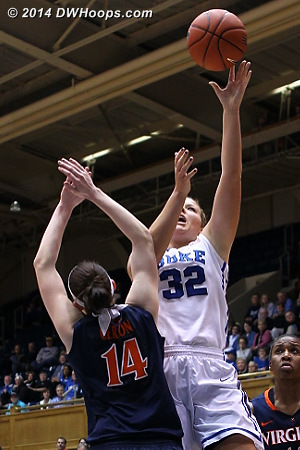 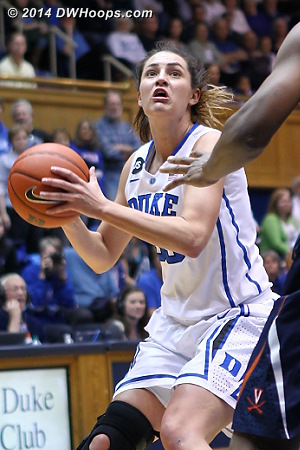 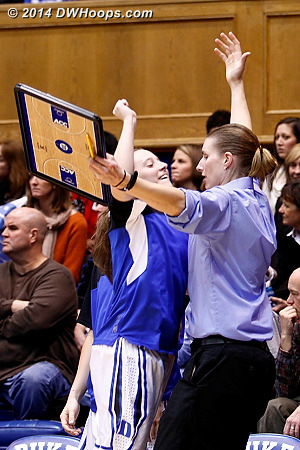 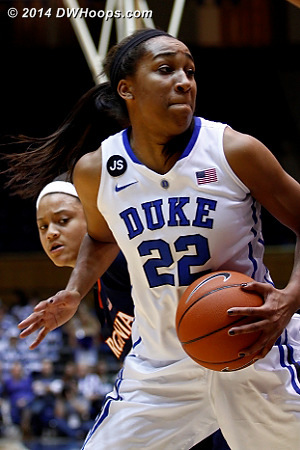 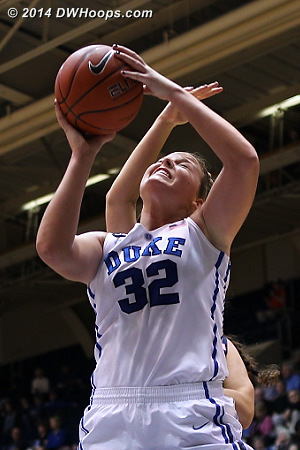 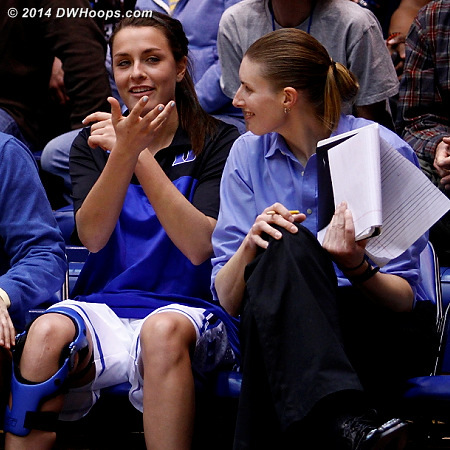 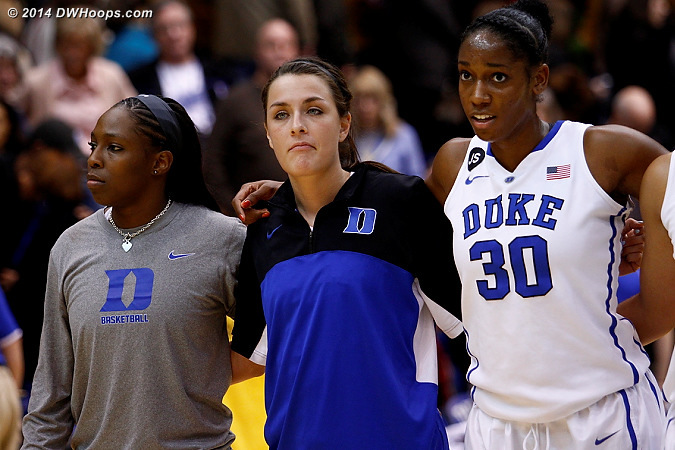 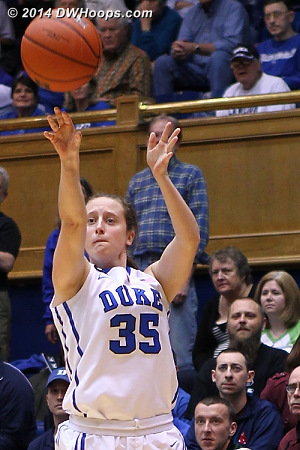 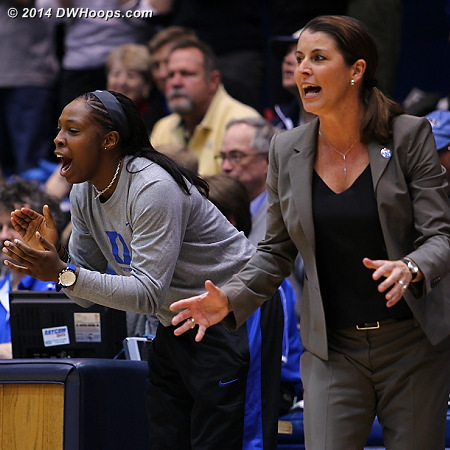 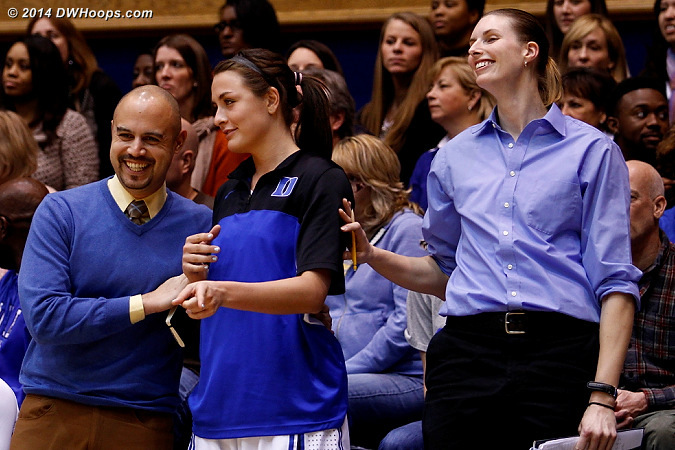 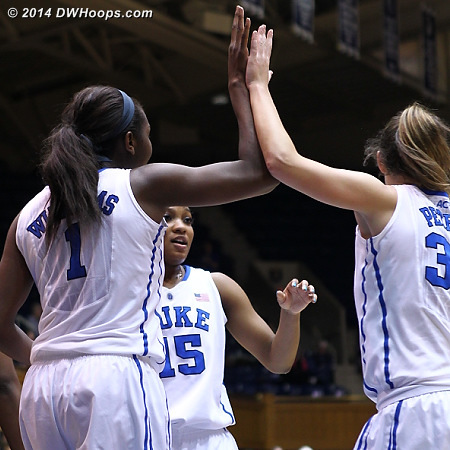 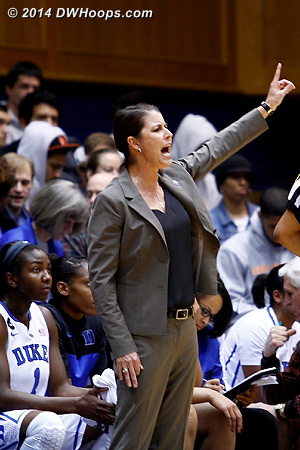 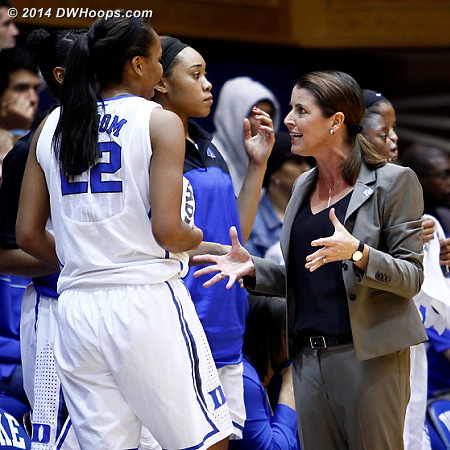 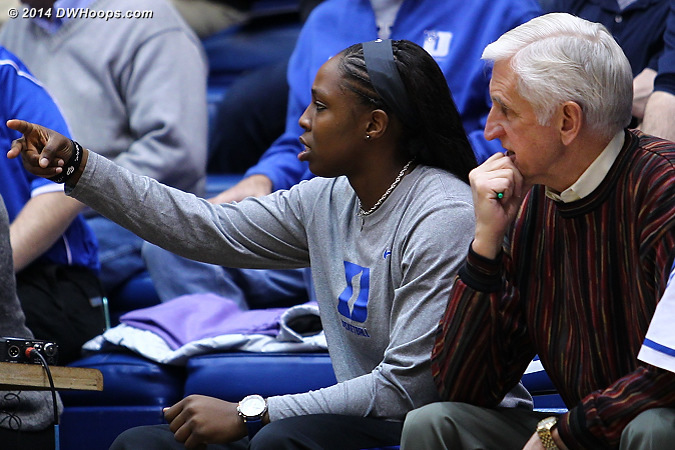 - McCallie on Duke's first game after Chelsea Gray's Duke career ending injury. 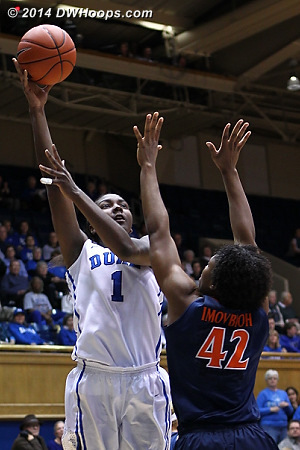 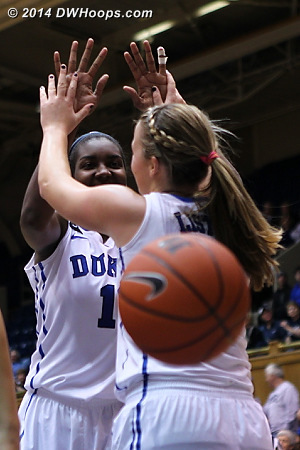 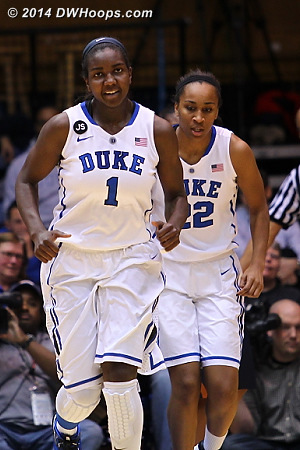 Responding to Rob's assertion that tonight was Duke's best game tip-to-tip, Tricia responded that, "with Chelsea out it just gives you a little motivation and something else to play for, but I think it's also a sign of the team coming together." 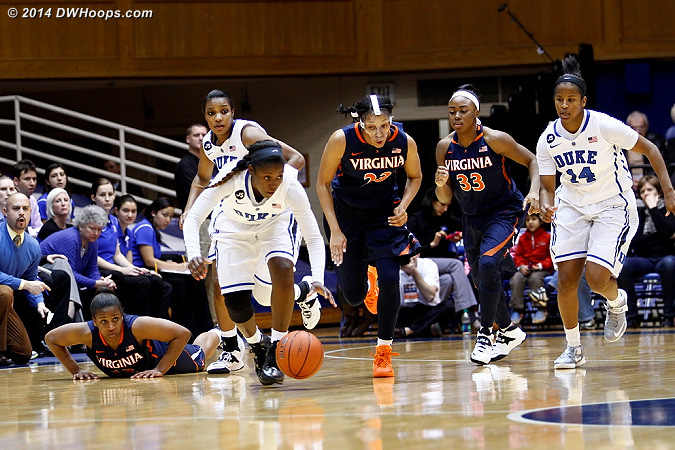 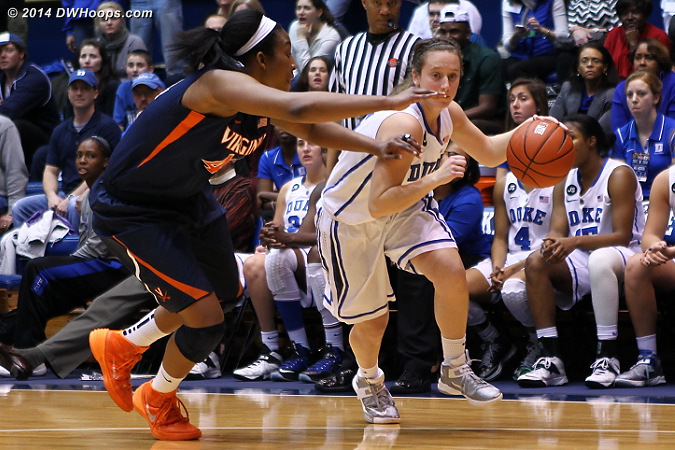 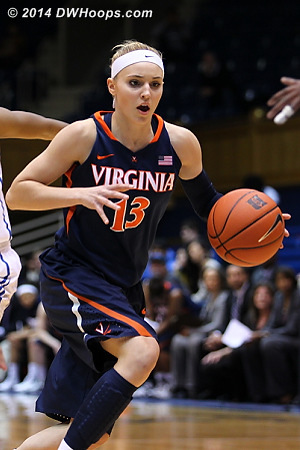 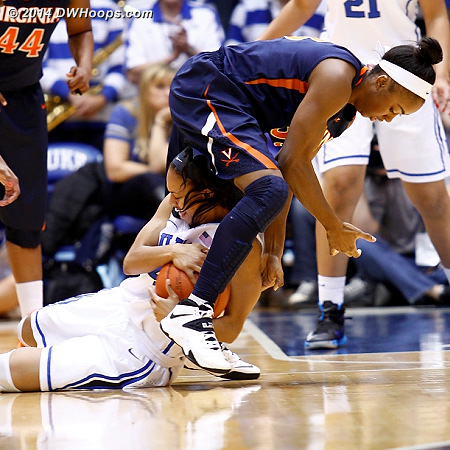 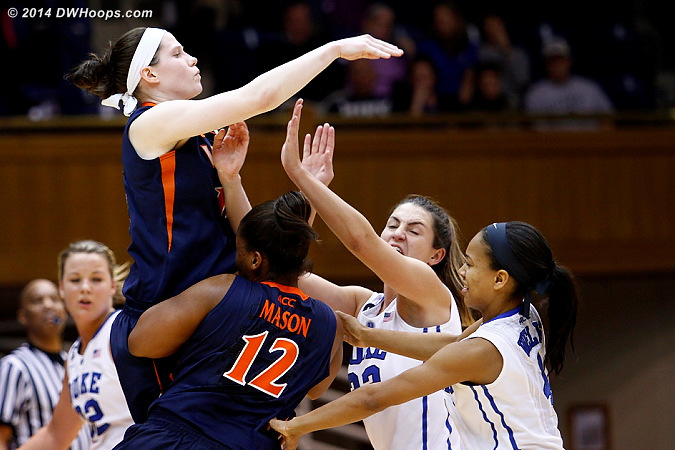 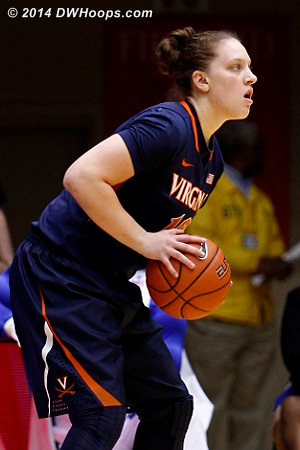 Rob made the assertion that Virginia played hard, but coach Boyle responded, "I don't think we played hard at all. 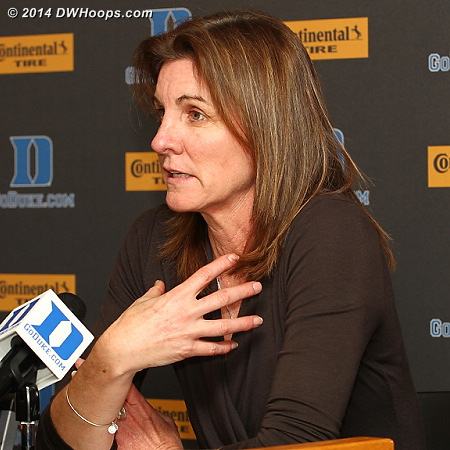 We practice harder than we played here tonight." 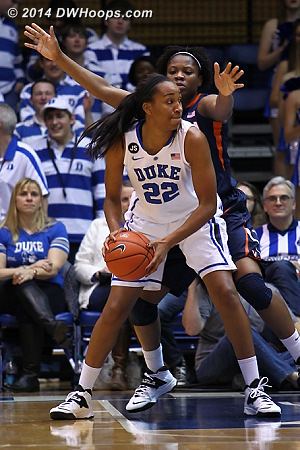 Faith Randolph on the second half, where she was held scoreless after 13 first half points: "I don't think they did anything differently. 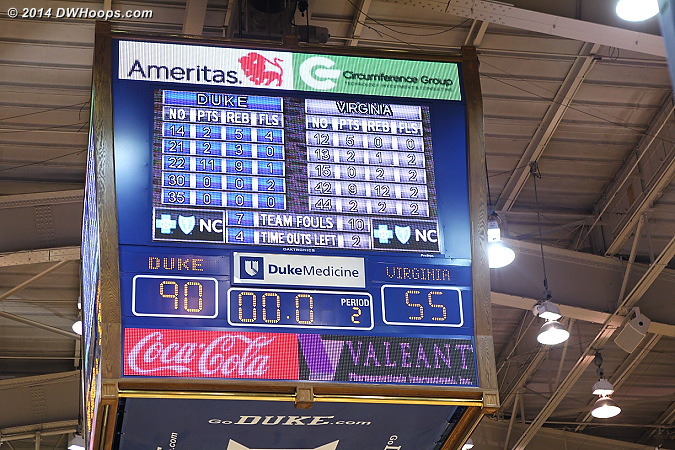 I just think that we didn't come out hard. 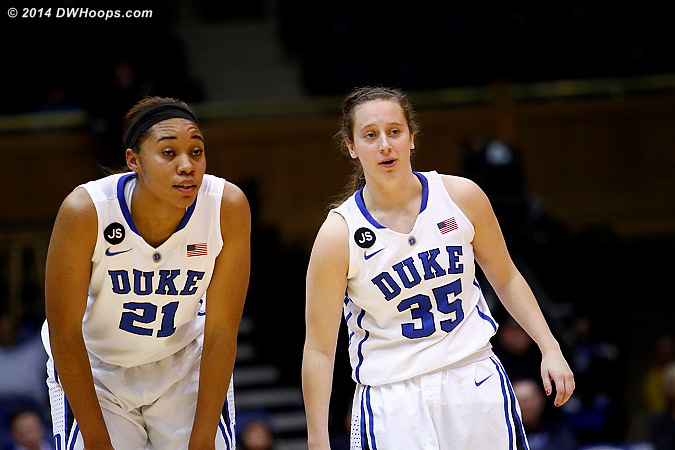 Like coach said, our offense affected our defense and vice versa." 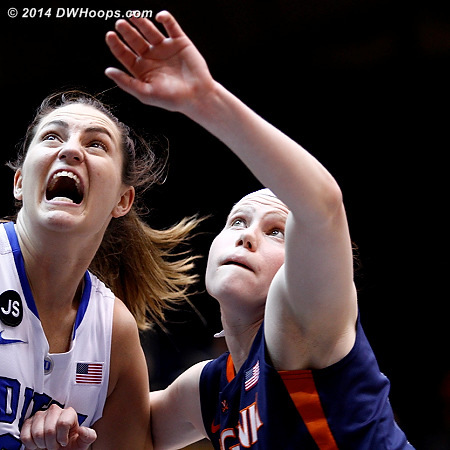 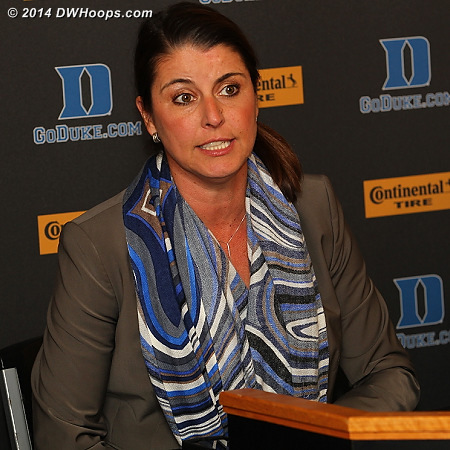 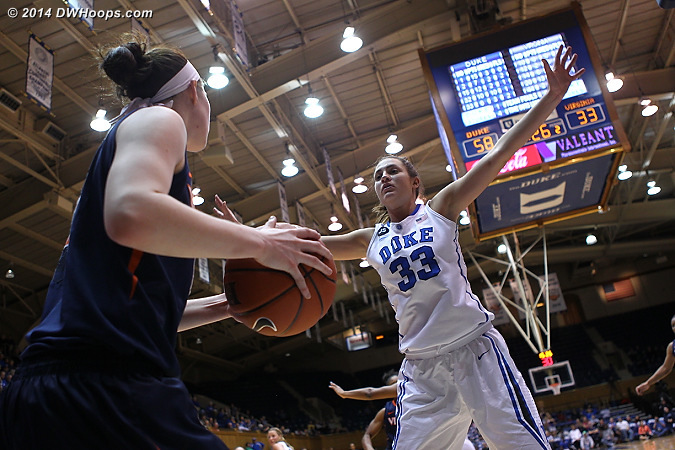 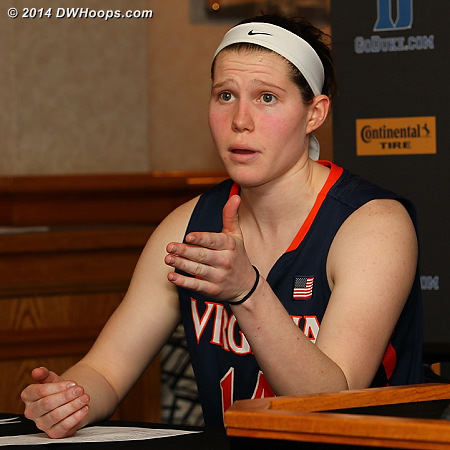 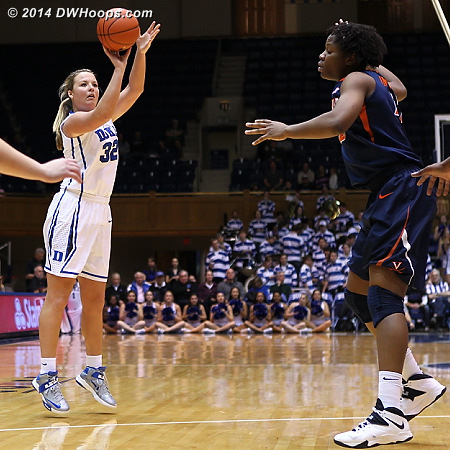 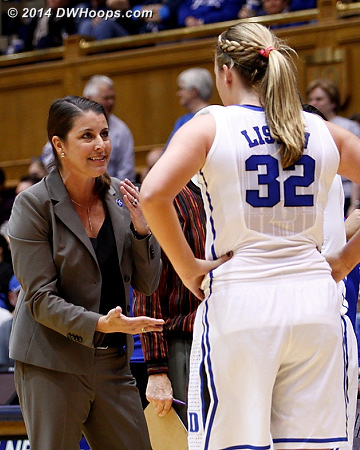 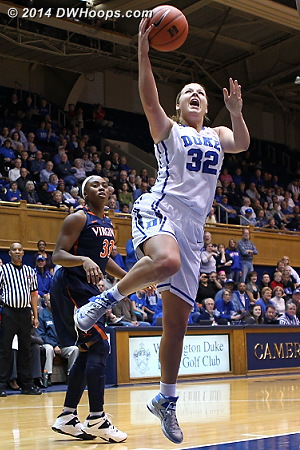 Win or lose, Lexie Gerson is one of the best interviews in the ACC. 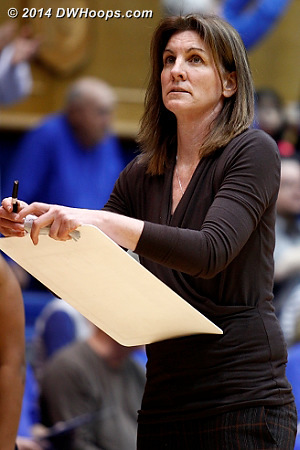 Rob asked her what she would do as a team leader in the face of this loss, she replied, "We need to take any good we have from this game and then we need to forget it. 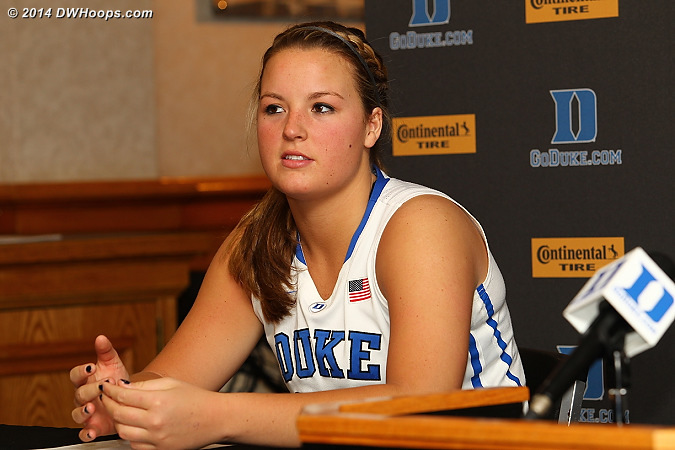 We need to have a short memory and then take on Florida State this Sunday and have a great game." 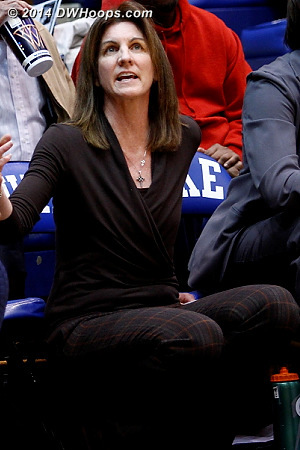 Virginia beat #17 FSU 85-68 - a 52 point swing in a roller coaster season.